I didn’t have time to update iPhone 4 price from the last 3 weeks due to no sinificant change in price. 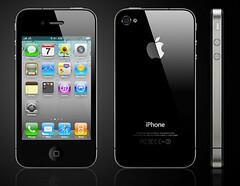 However, there are some majore impact on iPhone 4 market. Today i went to check out some phone vendors and i found out that was a flood of iphone 3 G and 3Gs in stock, some of my friend tried to get rid of his iPhone 3G as he received his new iPhone yesterday but iPhone 3G buy back price goes down to $230 and 3 weeks ago was $310. majore risk as iPhone4 come with iOS 4.0.2 could not be unlocked yet. g iPhone with iOS 4.0.2. For those who imported their iPhone 4 with iOS 4.0.2 are staying at home and pray for the next release of new jailbreak.